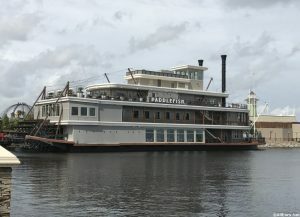 Over the upcoming weeks, Paddlefish and Terralina Crafted Italian at Walt Disney World's Disney Springs are giving you a few excuses to celebrate -- as if you needed one. From martinis to chocolate mousse, some great deals on eats and drinks are coming your way! Check out the schedule here! 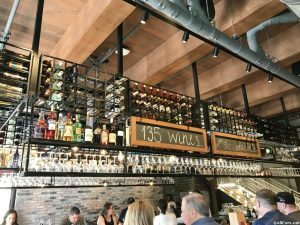 When it's time to stop and enjoy a glass of vino, consider one of these favorite wine lists at Walt Disney World. The Tangaroa Terrace restaurant at the Disneyland Hotel will be closed for refurbishment beginning September 4, 2018 and is expected to reopen mid-January 2019. Select menu offerings will be available at Trader Sam&apos;s Enchanted Tiki Bar and The Coffee House during this time. Menus for the global marketplaces that will be featured at this year’s 23rd annual Epcot International Food and Wine Festival have been released. This year there are more than 30 of these food booths, scattered around Epcot’s World Showcase, with a few even venturing into Future World. New this year is the addition of Taste … Continue reading "Food and Wine Festival Global Marketplaces Menus Released"
A new on-the-water bar and grill called Villa del Lago will open at Disney&apos;s Coronado Springs resort in 2019, along with the previously announced new 15-story tower that is currently under construction. The new eatery, which will serve light fare and beverages, will seat 60, with room for an additional 90 in designated group areas. Its over-the-water location will be connected to the rest of the resort, which also hosts a convention center, by a series of bridges.